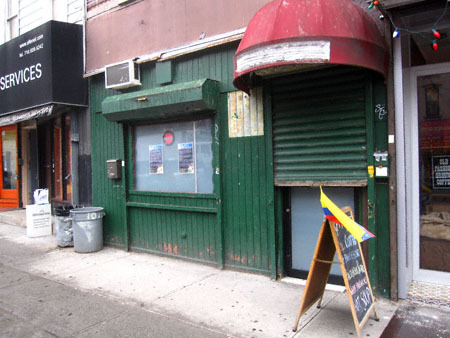 Remember when the noodle shop (ICHIRAN) next to Triangolos had the “registration” box hanging off the front of the building? Well I put my info on the box about 6 months ago, and this is the first contact I received back. Eater beat me to the punch announcing this (you can get their take on this infamous email by clicking here). Regardless, here’s what I saw while walking by this afternoon. Signs of actual activity! Not only is the gate open (so presumably someone is working in there) but they have taped up a smallish sign in the window reading “Ichiran” and no less than two announcements about their web site registration! 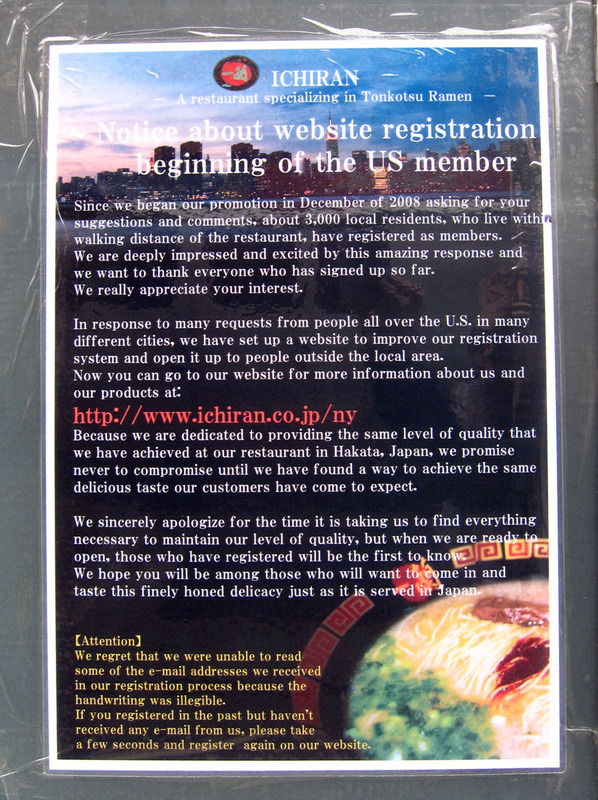 Could Ichiran at long last be readying itself to open? I can only hope so. I suspect I speak for many of my fellow Greenpointers when I write that on a dreary day like this I could really use a hot bowl of ramen soup!